Eurosun 2018 attracted a fair number of researchers and solar energy specialists from around the world. In all, 350 attended the event, which took place between 10 and 13 September at the HSR University of Applied Sciences in Switzerland. 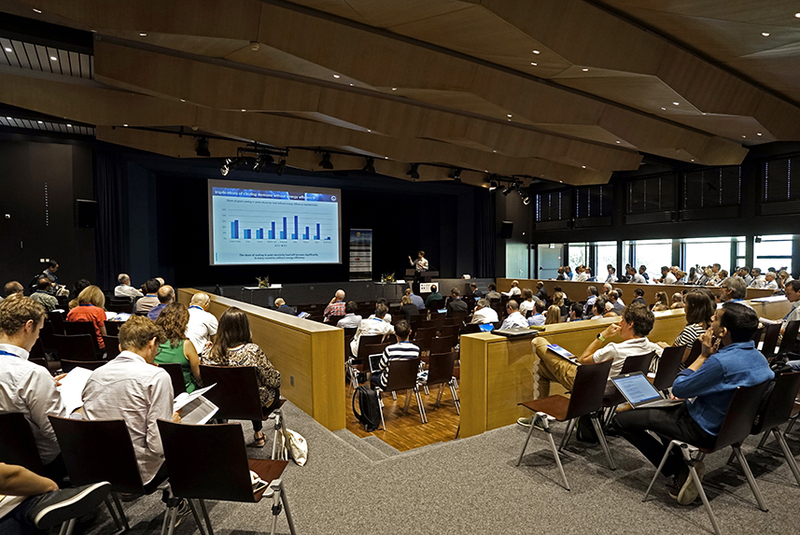 Three organisations, namely ISES, Swissolar and the SPF Institute for Solar Technology, joined forces to prepare this 12th International Conference on Solar Energy for Buildings and Industry, adding some innovative elements to the mix. The International Conference on Solar Air Conditioning (SAC 2018) was incorporated into the conference programme. Researchers had the opportunity to present their posters in a one- or two-minute video (see ISES YouTube channel). Neyer presented the findings of a seven-month monitoring period, which began after four large-scale solar cooling plants had been installed by Austrian-based S.O.L.I.D. this year (see the table below). A comparison of the most recent systems commissioned in 2017 and the installation from 2011 shows an increase in solar efficiency by about 40 % but an about 70 % drop in specific investment costs. All four plants run at satisfactory thermal and electrical energy efficiency ratios. At the Desert Mountain High School, climate conditions favour solar cooling because of high irradiation, while the other sites have higher demand for cooling throughout the year. This photo shows a freescoo unit which is being monitored at the research centre of ENEA, the Italian National Agency for New Technologies, Energy and Sustainable Economic Development, on Lampedusa Island, Italy. Marco Beccali, Professor on Applied Physics and HVAC Systems at the University of Palermo’s Polytechnic School in Italy, presented intriguing figures from the monitoring of a desiccant cooling unit designed by Italian-based Solarinvent (see attached presentation). This open-cycle system uses indirect evaporative cooling to provide ventilation, cooling, dehumidification and heating. It can run at a temperature of as low as 50 °C and has a minimum cooling capacity of 2.5 kW. A report about a possible breakthrough in cutting the cost of heat-driven cooling technologies came from Henk de Beijer, Managing Director of Solabcool, Netherlands. 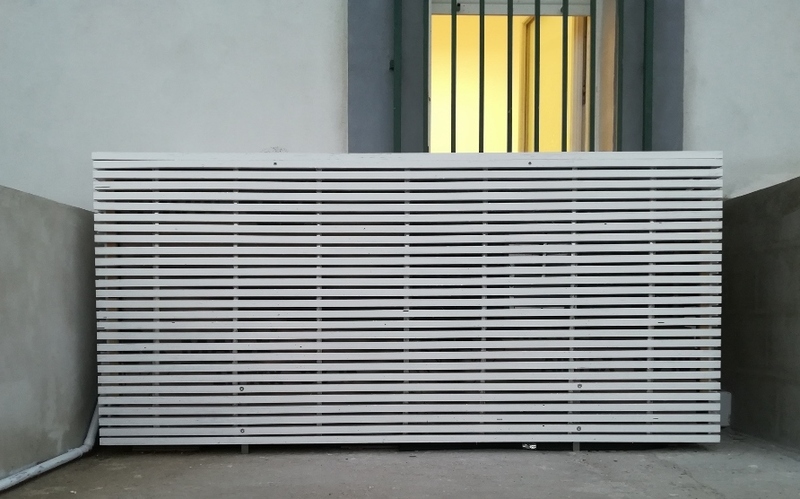 He said that his company had sold air-cooled chillers providing 7 kW of cooling capacity at 1,150 EUR/kW, a seemingly competitive offer when compared to compression cooling. According to de Beijer, Solabcool had been able to cut costs by increasing cooling output and simplifying the manufacturing process. Because adsorption materials such as silica gel possess a low thermal conductivity, Solabcool devised a new adsorbent coating technique to maximise the area between the adsorbent and the heat exchanger. In its report, it wrote that 500 grams of adsorption material used on each square meter of heat exchanger surface tripled cooling power compared to a packed-bed configuration.